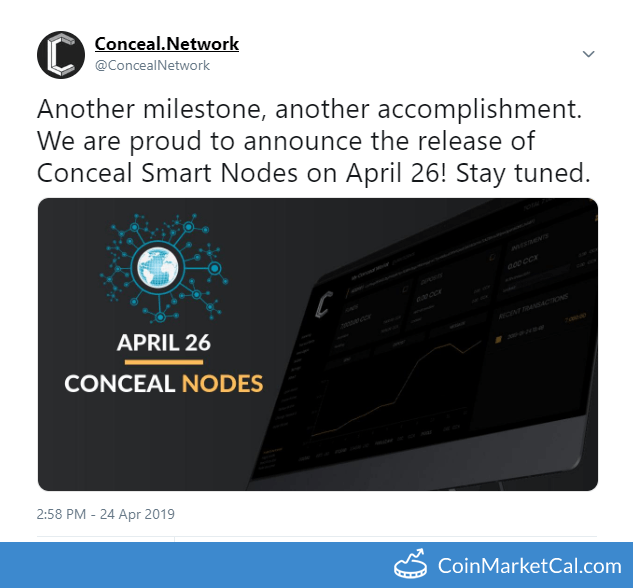 "We are proud to announce the release of Conceal Smart Nodes on April 26!" "The hackathon will launch on Friday, April 26th and end on Saturday, May 11th." 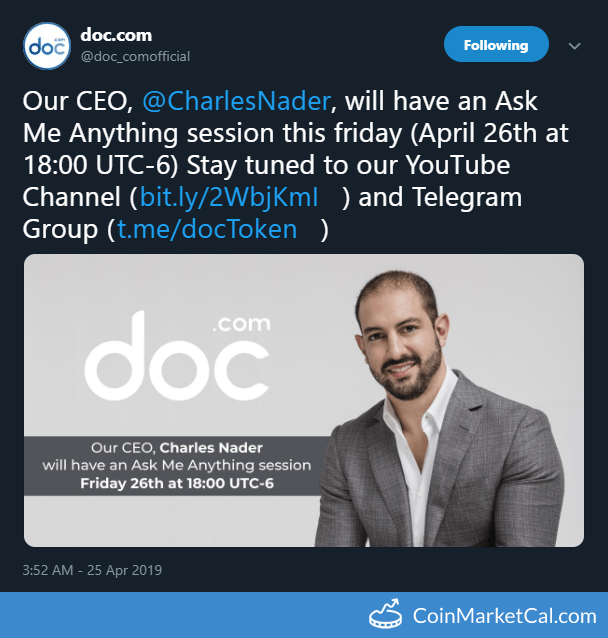 Our CEO, @CharlesNader, will have an Ask Me Anything session this friday (April 26th at 18:00 UTC-6). 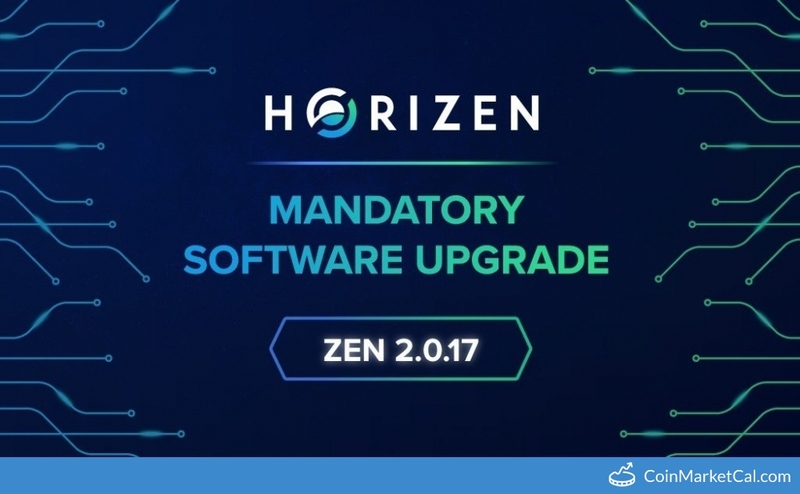 All exchanges, mining pools, node operators, and full node wallet users must upgrade to ZEN 2.0.17 prior to block #505212, April 26. 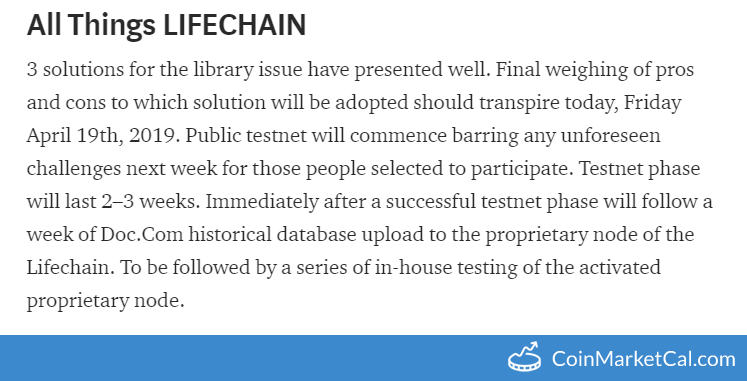 "Public testnet will commence barring any unforeseen challenges next week for those people selected to participate." "A big piece of the RepMe puzzle has been found and we will be announcing the final details of an important partnership next week." Join our very first event to find out how to get passive income through Crypto Staking. 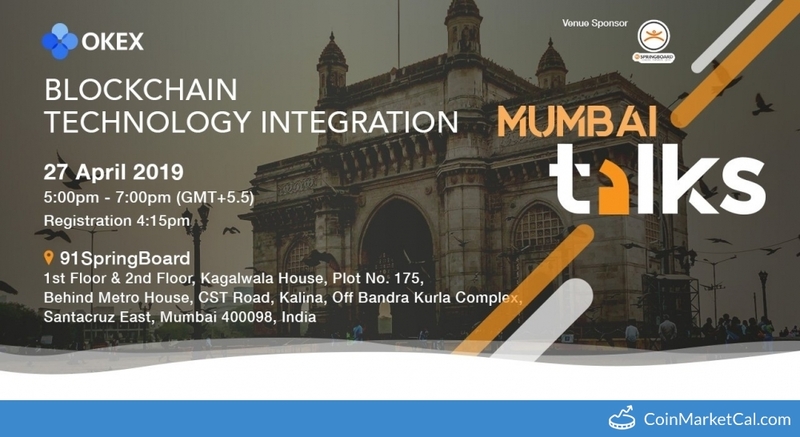 "Meet us in Mumbai on 27 April 2019 and enjoy a night of conversations, giveaways, drinks, and nibbles." 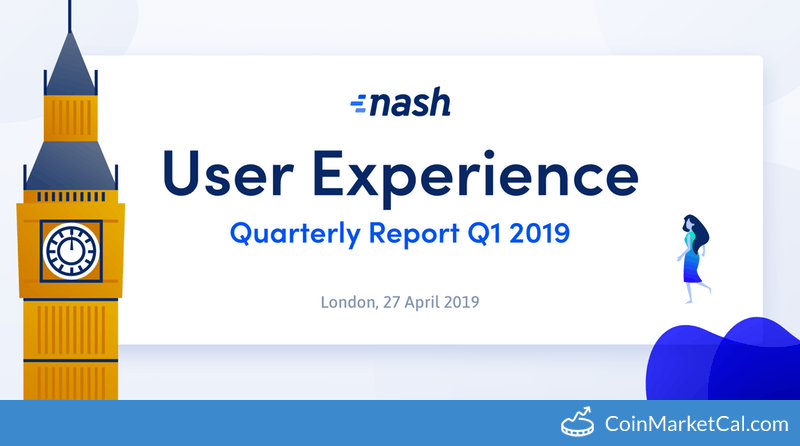 "Nash is proud to present our work from the first quarter of 2019, which culminated with our Community beta," in London from 6 - 9 PM (BST). 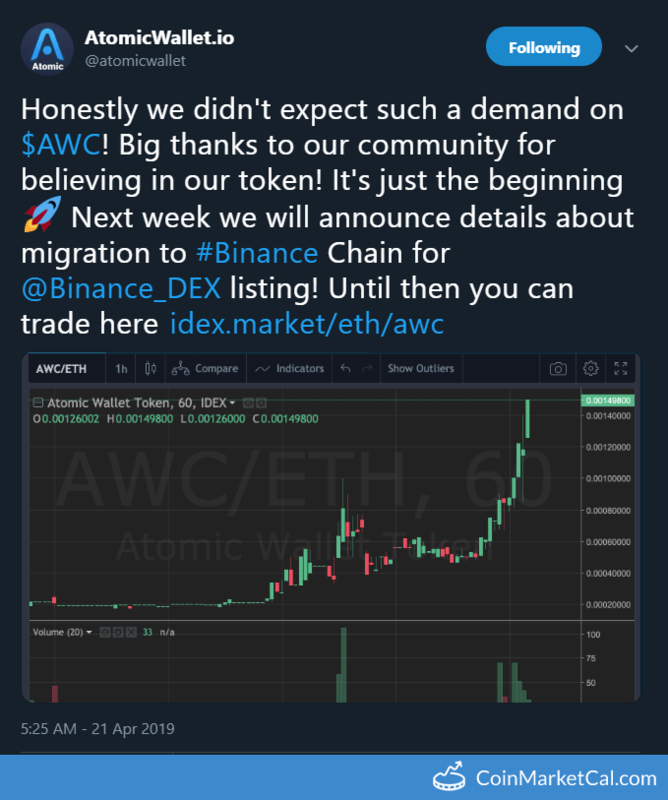 "Next week we will announce details about migration to #Binance Сhain for @Binance_DEX listing!" 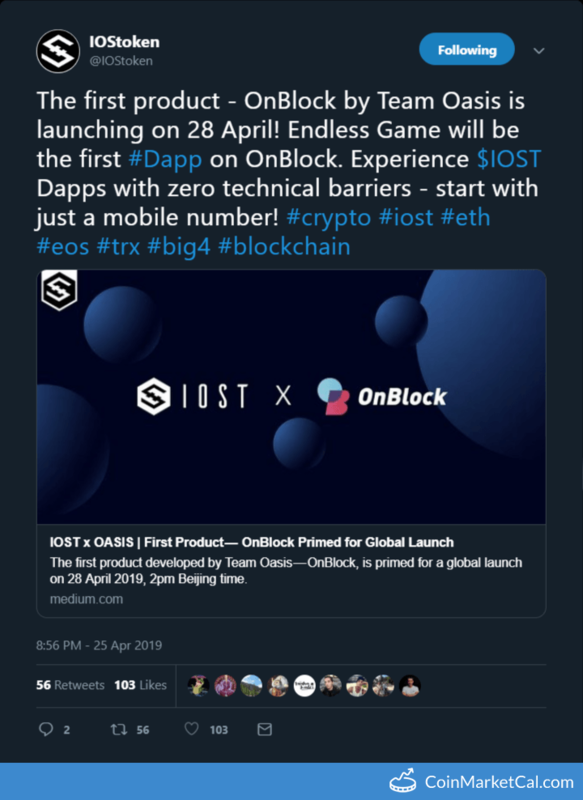 "The first product - OnBlock by Team Oasis is launching on 28 April!" 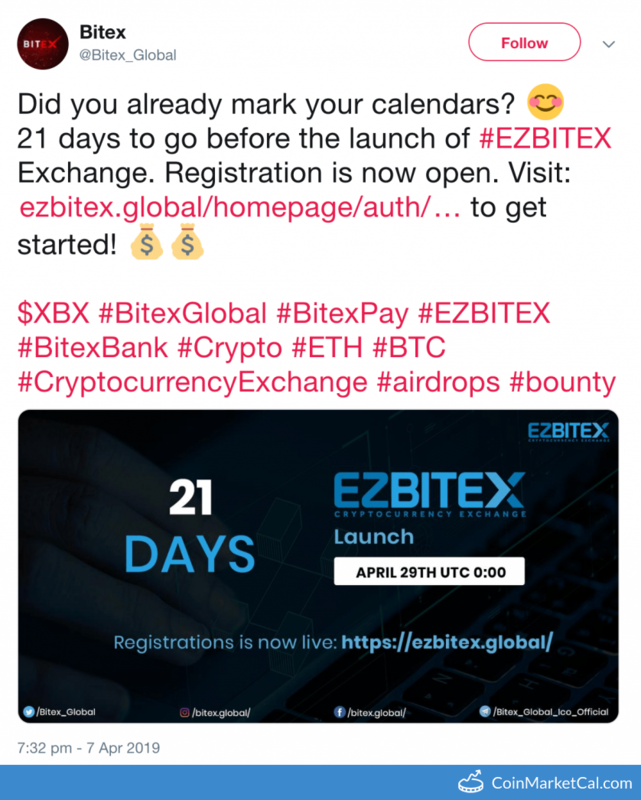 EZBITEX Exchange, a platform of Bitex Global will be launched on April 29. 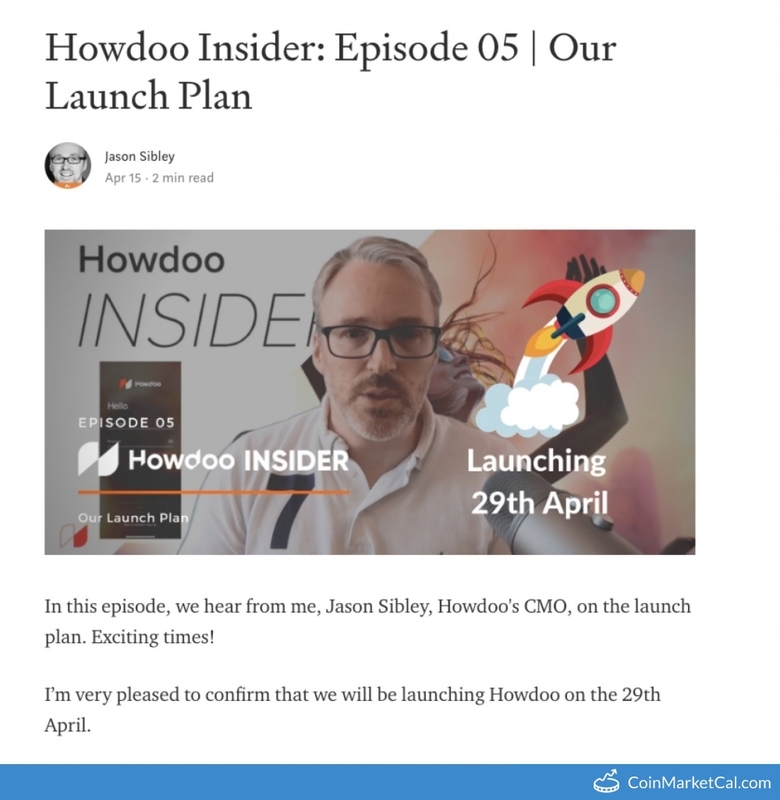 "I’m very pleased to confirm that we will be launching Howdoo on the 29th April." 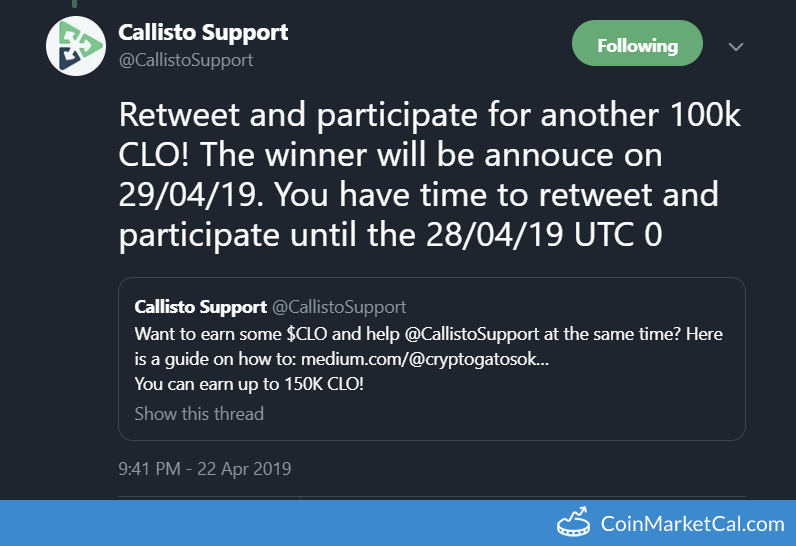 "Retweet and participate for another 100k CLO! The winner will be annouce on 29/04/19." "We are currently in the process of finalizing terms with more exchanges and expect to have 3 more listings within the coming month."